A lightweight showdown between Ramsey Nijem and Danny Boy Downes was verbally agreed upon for the upcoming UFC 137: St-Pierre vs Diaz tourney. The upcoming UFC 137: St-Pierre vs. Diaz fight card is almost complete. 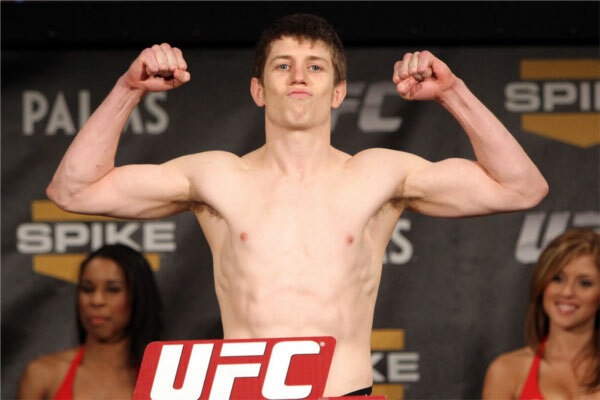 UFC president, Dana White, announced on Thursday that a lightweight showdown between Daniel “Danny Boy” Downes against “The Ultimate Fighter” Season 13 runner-up, Ramsey Nijem, was verbally agreed to. Daniel Downes, which has a career stats of 8-2, could really use a victory after dropping a unanimous decision to Jeremy Stephens at the TUF 13 finale last June. While his opponent, Ramsey Nijem – with a career stats of 4-2 – has the added leeway that is usually obtained by fighters coming from the popular reality series. However, the leeway doesn’t last for a long period of time. This means that Ramsey Nijem must establish himself as a part of the promotion by winning his upcoming match against Danny Boy. UFC 137 fight card will take place in Las Vegas, and will headline a welterweight title bout between UFC champion – Georges St-Pierre – and former Strikeforce champion – Nick Diaz.